Exciting advances are on the horizon for Harvest for Healthy Kids, an effort led by both Portland State and Mt. Hood Community College’s Head Start preschool programs that educates low-income children and their families about eating healthy with locally grown produce. Just last month the program gained a new sponsor, the Wal-Mart Foundation, which awarded the program with a $98,608 grant. Beginning as a research study, this program has been a combined endeavor that paired Betty Izumi, professor in PSU’s School of Community Health, and Dawn Barberis, the associate director of administrative services at MHCC Head Start, as co-directors. “We have been working together for four years to develop, implement and evaluate the program,” Izumi said. 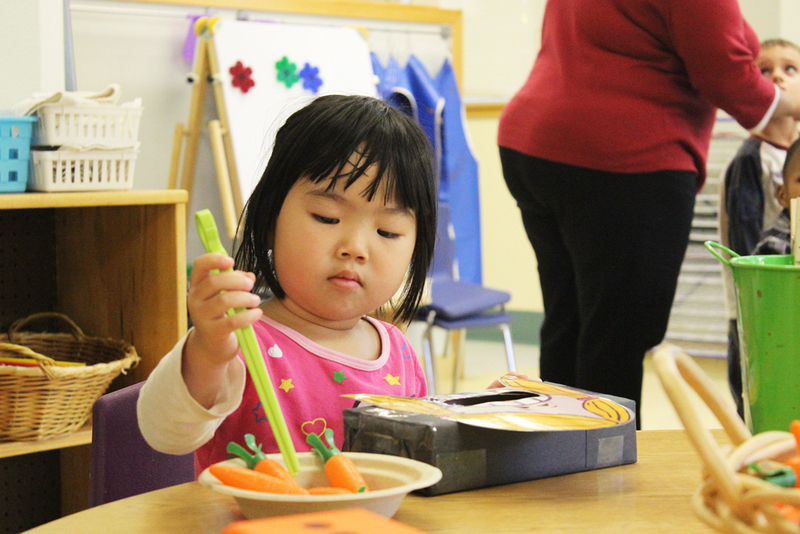 Harvest for Healthy Kids begins its work inside the classroom with curriculum directed toward children ages 3 to 5 in the Head Start programs throughout Multnomah County. The various activities are implemented weekly and include games, worksheets and even vegetable taste-testing. Each month also introduces a new vegetable. A sub-program was put into play just this year that promotes nutrition in the homes of these families. Home programs became available this year, serving families with children up to 3 years old free of cost. The curriculum differs in that Harvest representatives are able to teach parents who may lack the tools to access healthy and locally grown foods on their own directly. Lessons about nutrition and demonstrations on different ways to prepare the vegetable of the month are brought straight to their doors. With the grant from Wal-Mart, Harvest for Healthy Kids plans to expand and enhance various areas of the program. Barberis described just a few of these plans. Izumi also discussed the significance of their prior sponsors in making their efforts such a success. Confirming that Harvest for Healthy Kids has made an impact on children’s preferences, Barberis shared her observations. Annika Backstrom, a registered dietitian at the Center for Student Health and Counseling, explained her views on the effects of healthy nutrition in a child’s life. “I believe common sense shows that the less sugar a child has influences their daily lives, like in their ability to focus. Children are often afraid to try new things, but parent influence can impact that,” Backstrom said. Not only has this program benefited Head Start families, it has also opened up opportunities for PSU students in the School of Community Health major within the program. For instance, the process of developing the Harvest for Healthy Kids pilot project included multiple PSU students, according to Barberis.